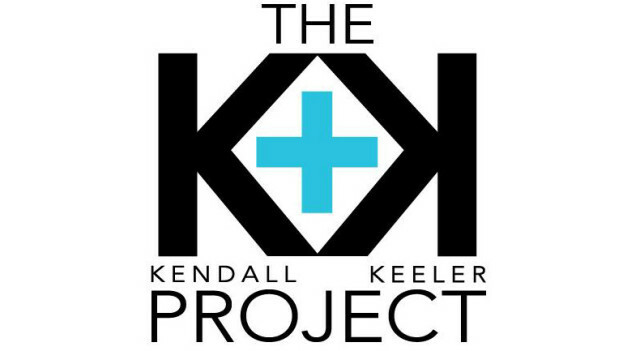 The first ever Dialogue and Personality class’s work: The Kendall Keeler Project, arose from the recognition that KCAD could benefit from more housing options for students. With community, cost affordability, and safety in mind, the class worked together to develop their design solution. 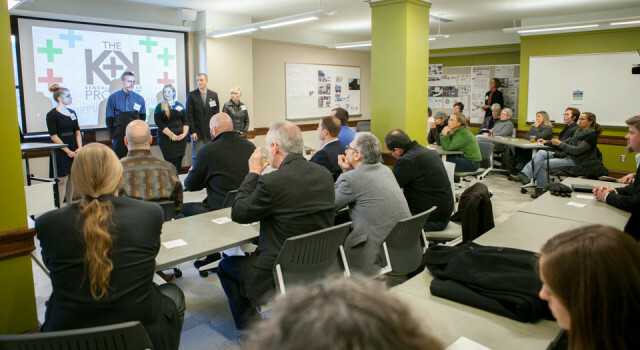 The students proposed to utilize the vacant Keeler Building in their project, a building that resides very close to KCAD, on the corner of Fountain St. and Division St. The empty building would be renovated and used for student housing, retail, and branding opportunities. 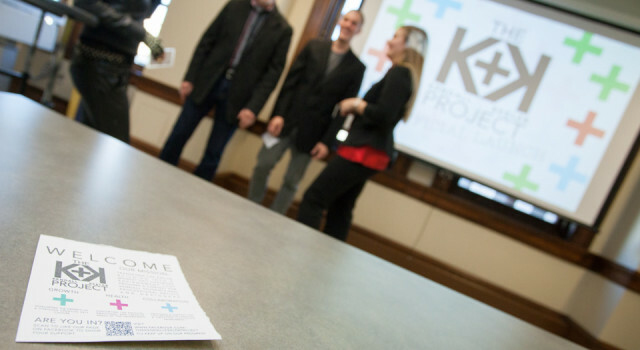 Our first Dialogue and Personality class successfully developed a proposal that not only aimed to help other KCAD students, but that also expanded the teams’ own collaboration and communication skills.